CORPORATE HOLIDAY ORDERS ARE HERE! PLEASE CLICK THE BUTTON BELOW FOR MORE INFORMATION ABOUT OUR HOLIDAY CATERING FOR CORPORATE PARTIES AND LUNCHEONS. 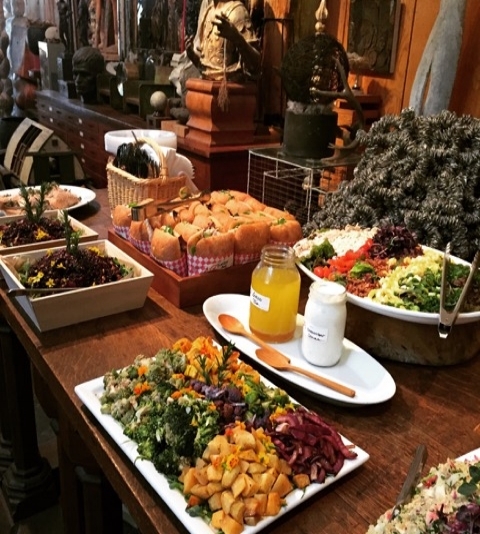 For years Spotted Hen Catering has been at the forefront of the farm to table movement. Servicing the greater Los Angeles area, we specialize in combining the freshest seasonal produce local farms with innovative recipes to bring our clients only the best in food and service. We work with you to customize your menu to fit any and every style and size event, from simple drop off service to the most elegant wedding. Our amazing food and fantastic service is sure to give your guests an experience they will never forget.